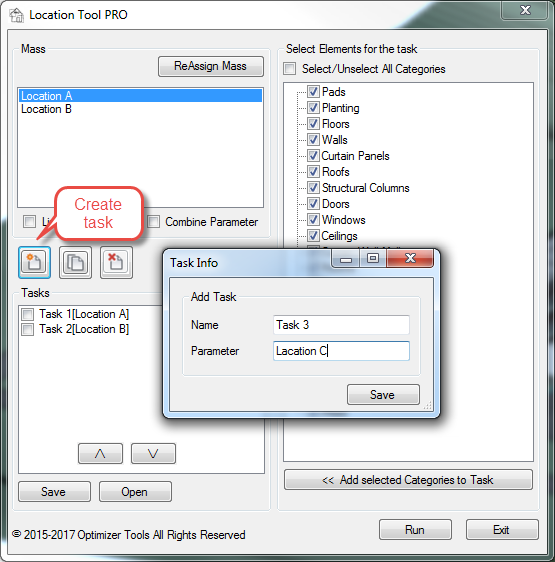 With this tool you are able to divide the model in to smaller locations, make QTO in pre-defined locations and sort and export models in pre-defined locations. 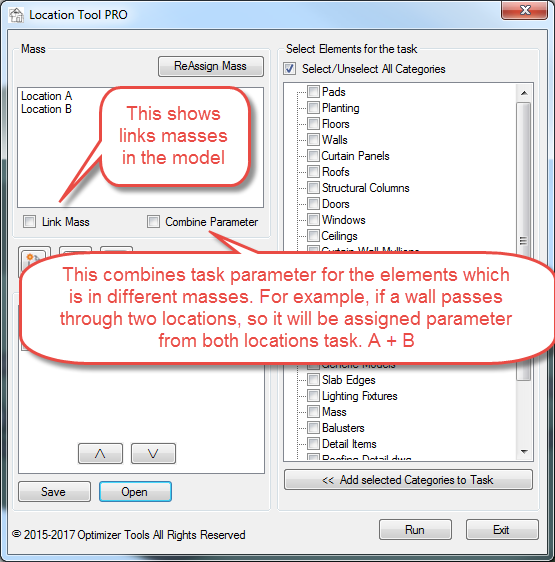 The user makes locations with masses in the model. 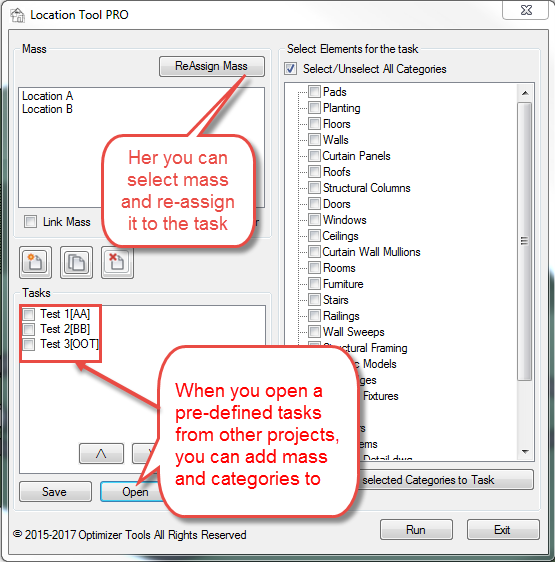 The tool can register the mass in the model and all the categories contained in the selected mass. 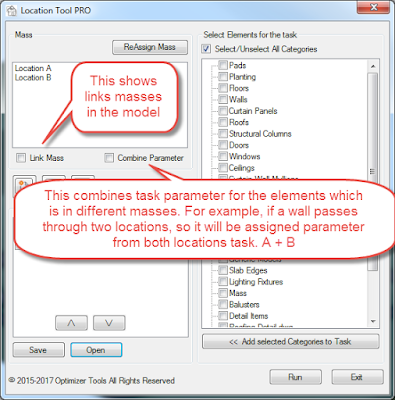 The user can now create tasks and decide which parameter to add to the elements. 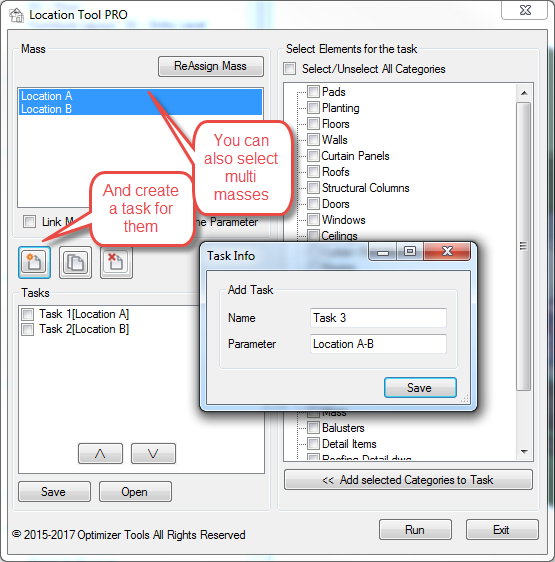 After clicking on Run the parameter is added to the selected categories. 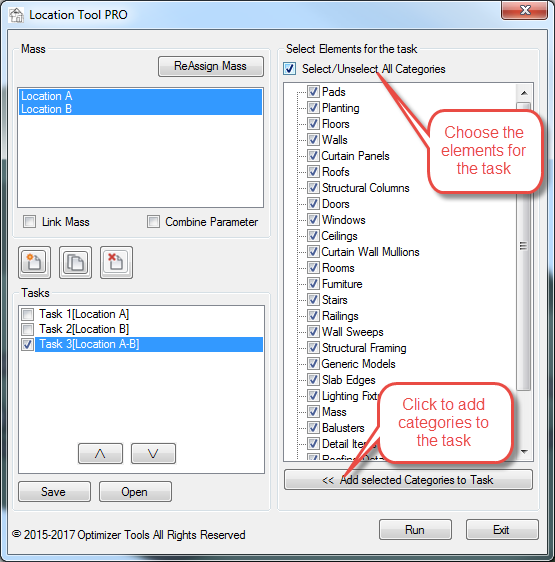 Updated 10/10/2016: Added link to free version. Rate us and give us an idea of how we can make the tool better. 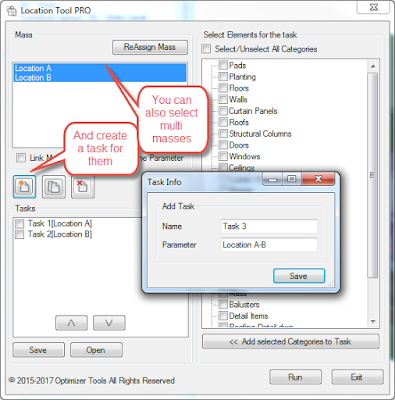 If you are the first one and we implement your idea in the next version of our tool, you will get one-year free license! Location Tool PRO is brought to you by Optimizer Tools. It's priced at 30.00 USD. 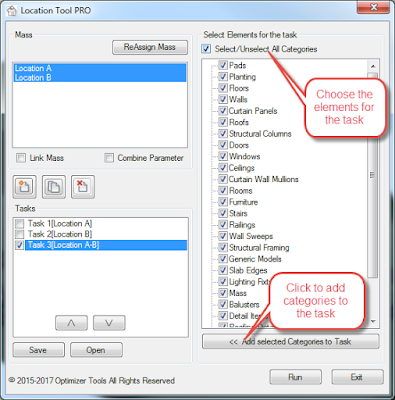 A free version is available. Editor's Note: The differences between the free and commercial versions of the add-in are not apparent from the vendor's product descriptions.